I am not a hardware guy. I appreciated a great graphics card when I played games on a regular basis, but with an Xbox One and PlayStation 3, this need quickly went away. As long as the machine will do the job and let me use Visual Studio, Chrome, Camtasia, Snagit, video editing software and other developer tools I am happy. I was using my “Dellasaurus”, a 6 year old Dell XPS 1645, which was top of the line when it came out. I even bought it secondhand of a good friend when he upgraded and I still used it for about 2.5 years. 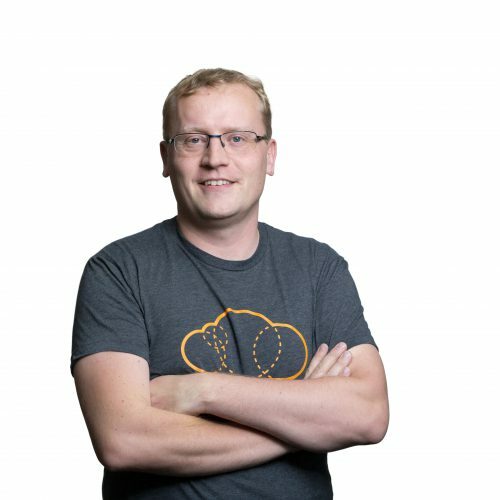 However, in the last couple of years I have been travelling a lot, presenting at various conferences and combined with being a freelance consultant I carry my laptop around everywhere. And the Dell was heavy! It was also starting to slow down considerably and I was constantly running out of storage. It was time to upgrade my mobile office. I had three main criteria for choosing a new laptop. Light weight, powerful and great battery life. Other nice to haves were touch screen, USB-C, 16GB ram and at least a 512GB SSD. 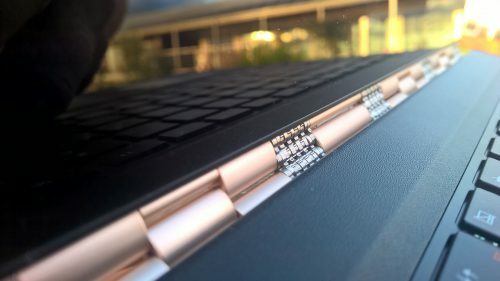 Ultimately I chose the Lenovo Yoga 900 with 16GB ram and 512GB SSD, as it has the best combination of all the factors that are important to me, and on top I absolutely love the hinge, which makes the device a real 2-in-1, both laptop and tablet. I guess I am not that hard to impress when it comes to battery life, as my Dellasaurus had next to none. Having more than 30 minutes of non-tethered use of a laptop is a novelty to me. 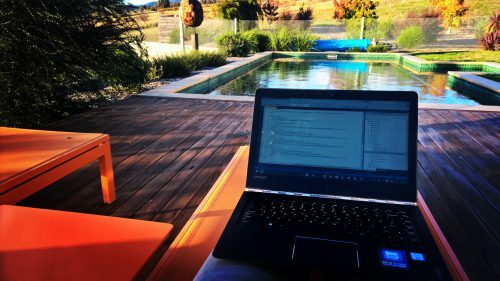 So the 6+ hours I get out of the Yoga 900 is pretty darn cool. I use the laptop just I used the old one, without thought on how much battery life is left. When I am done I just put it on charge and I haven’t run out once yet. That might happen on one of the long haul flights though. Another first world problem I have got accustomed to is working with three screens in my home office. I have routines and systems for using three screens in different ways depending on the task. For programming work I have specification, Visual Studio (or other IDE) and output. For document writing it is comms (Skype, Slack etc. ), text editor and research. Each work flow is optimized to three screens. 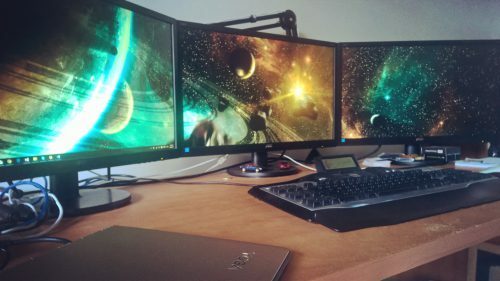 I did some research to make sure the laptop would run three screens through HDMI, DVI and a USB connection. I then settled on the WavLink USB 3.0 Universal Docking Station, as it provides 2 additional USB 3.0 and 4 USB 2.0 connections, as well as the DVI and HDMI connections for the screens. It works a treat, and the Yoga 900 runs all three screens with no issues at all. At only 1.2kg I have a couple of times put the machine in my backpack, then forgotten I did and looked to put it in again, simply because the weight is so insignificant. I realise that most modern laptops, especially in the ultrabook category, don’t weigh much, but being used to carry around half of the Rocky Mountains on my back, this is a hugely welcome change. It doesn’t matter what I have thrown at the Yoga 900, it has just dealt with it. It is no doubt in large parts due to the 6th gen Core i7 processor. My build time is faster in Visual Studio 2015, Resharper is not being annoying, Camtasia processes videos super quick, large files in PowerPoint aren’t jerky and everything just kinda works. In other words, the hardware is not getting in the way of the work I want to do. As happy as I am with the Yoga 900, there are little things that really annoy me. All the crapware that comes loaded on the device, especially the “Lenovo settings”, which just gives you all the same information that you get through Windows 10 settings seems really pointless. 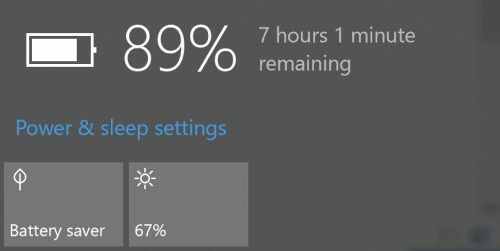 Adding another battery indicator on my taskbar? Really? And once you have opened some of the application once, they continually pop up messages and generally just get in the way. 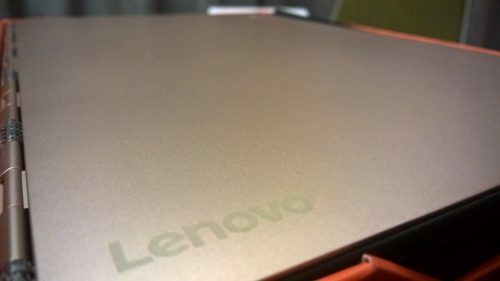 Yes, I am looking at you Lenovo Photo Master. Please just let me choose what software I want to install and use. I am 100% sure I made the right choice, both in terms of budget and hardware. Despite the annoying software that comes preinstalled I wouldn’t want to change this laptop for anything. Except maybe a Surface Book, which is so fantastically awesome, but oh so expensive. I have already recommended the Yoga 900 to a few people, as I don’t believe there is a better value for money option on the market currently. What do you think? Did I make the right choice? Leave a comment with your thoughts.